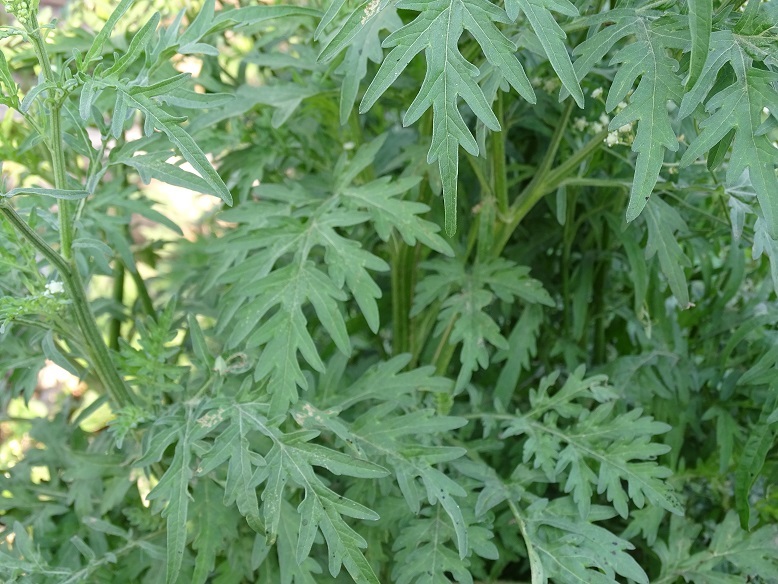 Medicinal uses of Carrot Grass (Parthenium hysterophorus). Carrot Grass (Parthenium hysterophorus) Gajar ghas complete detail. Description of Carrot Grass (Parthenium hysterophorus) Gajar ghas. Classification of Carrot Grass. Habit and habitat of Carrot Grass. Local name of Parthenium hysterophorus is Carrot Grass, Congress grass, Gajar ghas etc. Flowers are small and whitish with tiny ray florets at each of the five distinct corners. Flower-heads are arranged in clusters at the tips of the branches. Flowering can occur at any time of the year. 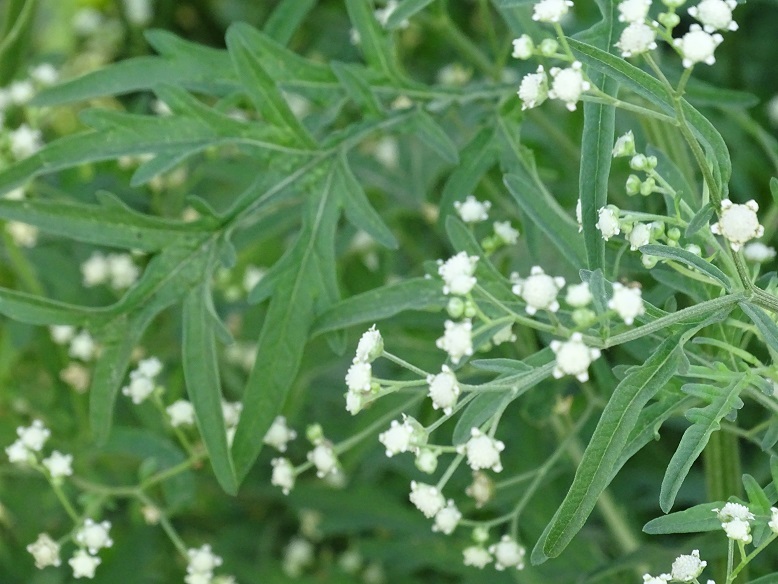 The decoction of Parthenium hysterophorus has been used in traditional medicine to treat fever, diarrhoea, neurologic disorders, urinary tract infections, dysentery, malaria, and also used as emmenagogue. Parthenium hysterophorus is a much-branched, short-lived, upright, aggressive ubiquitous annual herbaceous plant. It usually grows 2 to 4.5 ft. in height. Stems and leaves are hairy. Mature stems are greenish and longitudinally grooved, covered in small stiff hairs and become much branched at maturity. The leaves on the stem are alternate, and the upper leaves are entire to slightly lobed. The lower leaves are relatively large and are deeply divided. Leaves on the upper branches decrease in size and are also less divided than the lower leaves. All leaves are light green and pubescent on both sides. Flowers are small and whitish with tiny ray florets at each of the five distinct corners. Flower-heads are arranged in clusters at the tips of the branches. Color changes to light brown when seeds are mature and about to shed. Flowering can occur at any time of the year, but is most common during the rainy seasons. Five small seeds are usually produced in each flower-head. These seeds are dispersed by wind, water, animals, vehicles, tools and machinery and on clothing. Parthenium hysterophorus is found in Australia, Bangladesh, Ethiopia, India, Kenya, Madagascar, Nepal, New Caledonia, Pakistan, Papua New Guinea, Puerto Rico, South Africa, Sri Lanka, Swaziland, Taiwan, Vietnam and the United States. Parthenium hysterophorus is native to the area surrounding the Gulf of Mexico, Central America, southern North America, West Indies and central South America. The weed has now invaded more than 20 countries around the globe, including five continents and numerous islands. This weed is considered to be a cause of allergic respiratory problems, asthma, bronchitis contact dermatitis, mutagenicity in human and livestock. Regular contact with the plant, usually over a prolonged period, produces allergenic dermatitis and asthma in humans. Parthenium hysterophorus used in many medicinal treatments of skin inflammation, rheumatic pain, diarrhoea, urinary tract infections, dysentery, malaria and neuralgia. The decoction of Parthenium hysterophorus has been used in traditional medicine to treat fever, diarrhoea, neurologic disorders, urinary tract infections, dysentery, malaria and also used as emmenagogue. 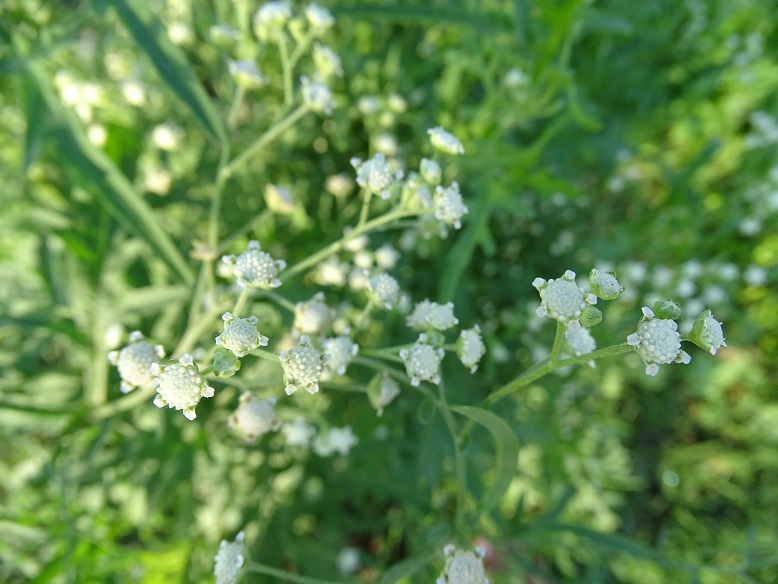 Parthenium hysterophorus has been found to be pharmacologically active as analgesic in muscular rheumatism, therapeutic for neuralgia and as vermifuge. 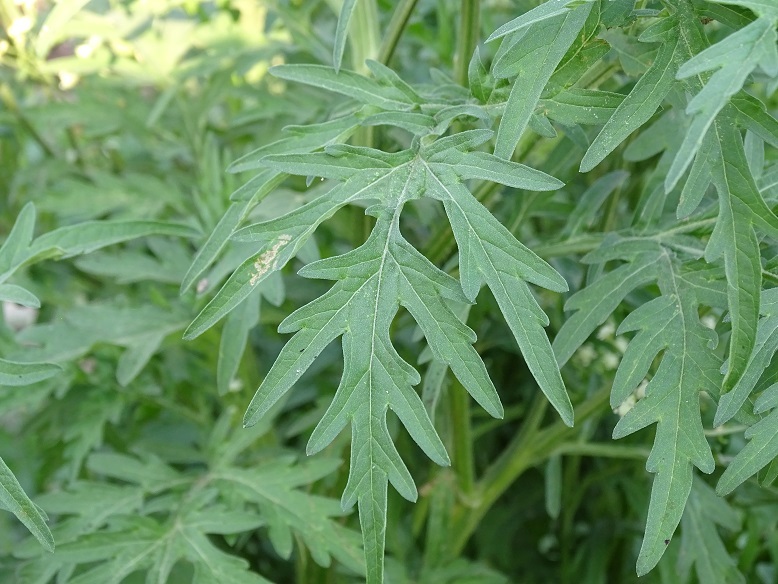 Parthenium hysterophorus also used to increase crop production.